Another art event this last month happened at Coddingtown Mall in Santa Rosa…the annual WASCO Aqua Areas juried watercolor show. I submitted three paintings. This one sold before the show was even juried. Unfurling Beauty, sold at the PVH show last month. The second, Grace, sold during the show (it’s in a earlier blog…the swan in the sunrise picture). The third entry has sold since the show. Needless to say, I am one very grateful artist. Rob and I are off to New York next week. There’s an exhibit of Van Gogh’s “light” paintings, like Starry Night, at the MOMA. Can’t wait to see them. I just finished “The Yellow House” about the six weeks that Gauguin and Van Gogh lived together, and I’m in the middle of one about Manet, Morisot, Degas and Cassatt…I’m ready to look at, not just read about, art and to be inspired even more! Previous Riverfront Art Gallery celebrates 1 year!! Fantastic…I love it. You are one talented woman! How exciting to see and read about all your painting activity and success with it! 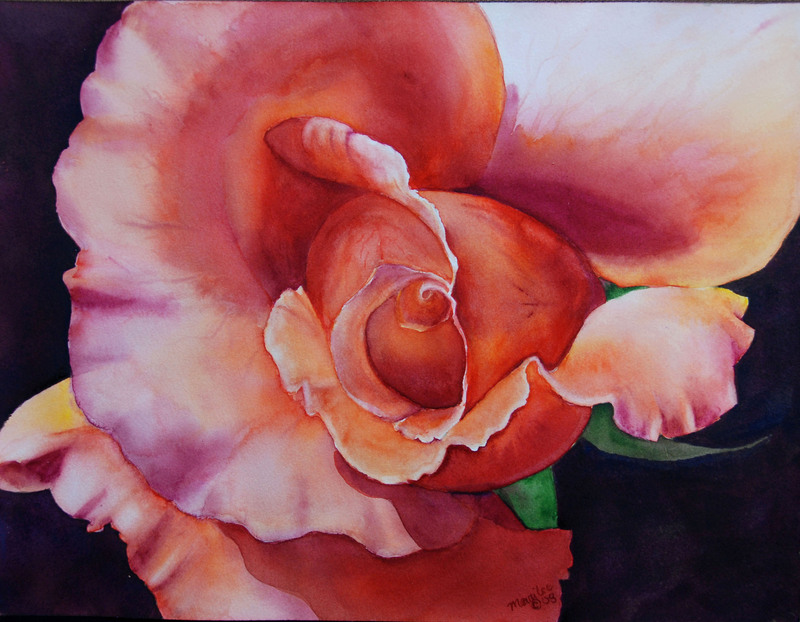 Your skill at watercolor and oil is extraordinary. I will put you on a link from my blog to send people here. Hope to see you some time soon – maybe for olive picking again? 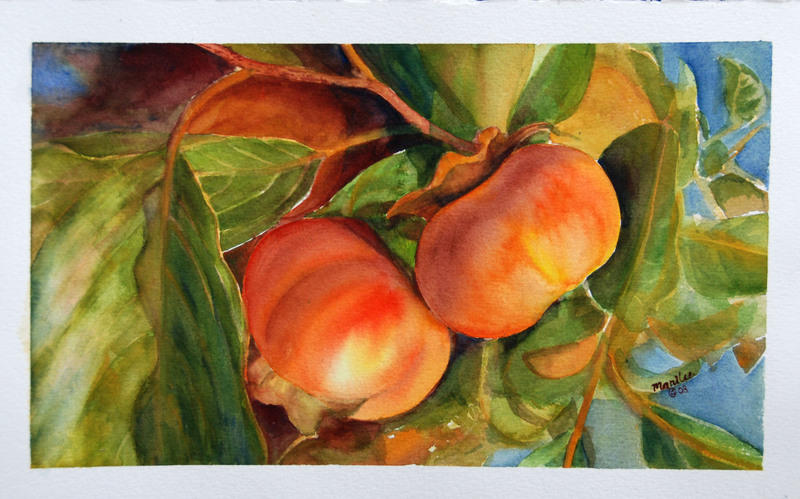 Wow you did an amazing job on the persimmons! is this Marilee painting? How can I find out!! !